Printing & Sewing is a unique combination, and is tough to match. The possibilities expand when you can print your own fabric, promotional items, or signs. 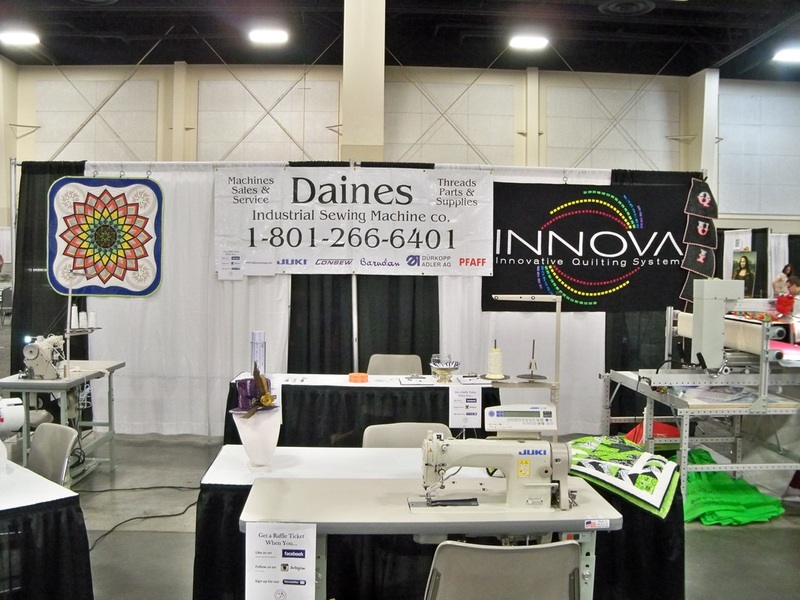 The sewing industry is becoming more diversified in the ways it produces results. With an even more demand for products that are custom and completed instantly the sewing industry is moving fast to integrate in house printing into the processes. Many name brand clothing companies such as Calvin Klein & Under Armor, are bringing manufacturing back to the USA. The reason is simple, quick turnaround of product from the creation to on the shelf. Typical turnaround from China is 18 months, & you must pay shipping for every sample/prototype. In the USA turnaround time is 3-6 months, & there is no cost for shipping on samples/prototypes. Because you are doing everything in house you can manage color, quality, and quantity. No longer do you have to worry about having over stock or running out of stock. Print what you need and sew. With the ability to print and sew your items you can pre-sell your items before you start making the first product. By validating the market before you start production, time and money will be saved. At Daines Sewing Machine we carry the Epson Surecolor printer line to assist in all the needs of Print, Cut, and Sew. The new way of sewing is here and we want to help you be a part of it. The What a Woman Wants Expo contacted us and invited us to their event. We decided that it would be worth a shot and accepted the invitation. 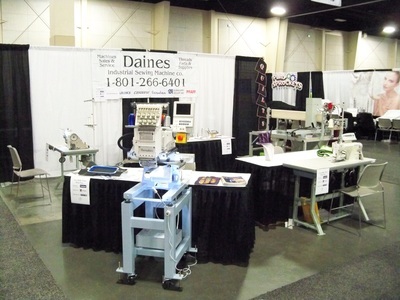 We set up our 20x20 booth with our 9 needle embroidery machine, a straight stitch machine, and a Hemstitcher. 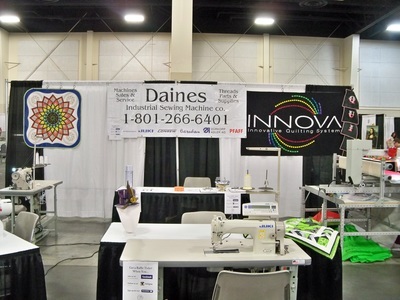 Our friends at Quilts On The Corner brought an Innova Long arm Quilter for us to demo. We started the event with no expectations of selling anything. We were skeptical of how many women in the home type market at the show would be interested in Industrial machines. As the event progressed we were very surprised by the interest in our products from that venue. We had kids as young as 3 and adults as old as one can imagine ask questions about our machines. Renee from Quilts On The Corner was a huge help to us as we had a greater interest than expected. The Embroidery machine and the long arm Quilter had the most attention. By the end of the event we were pleasantly surprised at how well we did. We had received more interest and inquiries to buy than at all of the other events we have attended throughout the years. We will be at the next event in November so come check us out.